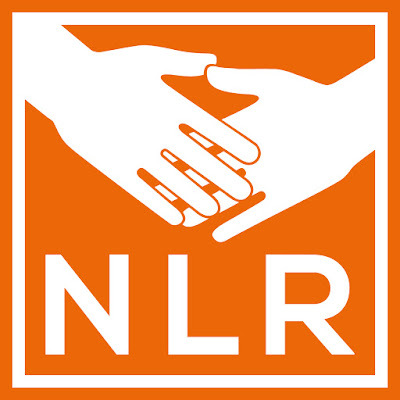 Netherlands Leprosy Relief (NLR) is a non-government International Organization based in Amsterdam and has its Representative Offices in Several Countries, of which one is in Indonesia since year 1967. Works side by side with Ministry of Health (MoH) to strengthen the quality of leprosy control program in 14 Provinces. Assists MoH with development of new policies and interventions. Work closely with inclusion and disabilities organizations. Financial Leprosy Control program, Inclusion & Disability and new innovative projects. Provision of trainings and updated academic research and literatures on leprosy and related topics. To develop a manual that combines financial and administrative procedures to guide the staff and finance team in their daily work according to accountable financial and administrative policies and procedures. The manual will help to establish financial controls within the organization that ensure accuracy, timeliness and completeness of financial data. Consultant(s) meet personally with finance and admin team to assess the current situation in order to present a financial manual and procedure that includes both short-and long-term financial goals. Consultant(s) involvement in preparing the financial manual include specific finance policies (e.g. budgeting, payroll, travel and subsistence, asset management), Key minimum standards, and Specific Finance Procedures (e.g. Procurement, banking, accounting routines), Chart of accounts. Consultant(s) will make sure the procedures in the manual are understood by all staff, through a discussion with all staff. Controls on financial assets - for example, who records cheques received and who banks them. Exercising budgetary control - who can spend how much and on what, and what expenditure needs special permission. Controls on human resources - who can recruit and for what roles, and what permissions are needed. Controls on physical assets - for example, who can authorise the sale and lease of buildings or equipment and campaigning material. The Specific policies section describes policies approved by senior management about how Netherlands Leprosy Relief work. This might include policies on: filing supporting documents, authorization limits, reporting requirements (for managers, beneficiaries and donors), reserves, other key controls (e.g. bank reconciliations), staffing requirements, developing budget, working with beneficiaries, responding to fraud, using vehicles and many others. It can be useful to provide a one page summary of the key minimum standards that the policies require from all staff. For Instance, this might include: deadlines for preparing reports, authorizing expenditure, meetings between finance staff and program staff, reporting to beneficiaries, audits and other key controls. The specific procedures section describes how to put the policies into practice. For instance, it might describe how to: make payments, calculate salaries ( and tax ), record transactions, file supporting documents, handle cash, carry out bank reconciliations, prepare reports (for managers, beneficiaries and donors), monitor cash flow and restricted fund, support program staff, present reports to beneficiaries, handle an audit, handle fixed assets, respond to allegations of fraud and many others. The consultant or consultant team is requested to submit an inception report with a detailed work plan in the form of an activity schedule / Gantt chart. The existence of admin and finance manual approved by the management of NLR Indonesia and understood by all staff. The consultant for the admin and financial manual is expected to set a realistic timeframe in the inception report but will finish the assignment not later than two months after commencement of the assignment. NLR will assess this proposed timeline bearing in mind a qualified output and high commitment from the consultant is required. The Consultant will work with finance staff and management to develop the finance and admin manual by writing the manual and provide guidance on topics that include taxes regulations, USAID regulations, EU and some donor requirements and by revising the manual. Ensure forms and formats related to this guideline are in place including an authorization matrix. Present and explain contents of the manual to all staff. The second installment in the amount of 25% of the total fee shall be paid upon submission of the DRAFT Admin and Finance Manual. The final installment in the amount of 25% of total fee shall be paid upon submission and approval by NLR of the final manual. A short expression of interest (max 5 pages) clearly specifying understanding of the assignment, steps in the assignment, limitations, innovative suggestions as well as suitability and availability, and a detailed budget. Portfolio or CV, indicating previous experiences in similar assignment and attach examples.